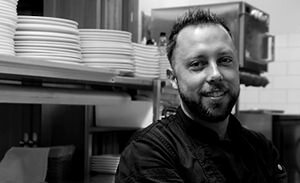 Serafino's awards and accolades would not be possible without its fabulous team whose dedication, work ethic and attention to detail ensure success. The Serafino story began in 1964 when Steve (Serafino) Maglieri arrived in Australia from Italy as a passionate teenager full of dreams. Two years later, with the assistance of his father Giovanni, he planted his first vines in McLaren Vale that now extends to over 350 acres, laying the foundation of a winemaking dynasty that today is known as Serafino Wines and overseen by his daughter, Maria. Steve Maglieri, recently receiving the prestigious AM honour (Member of the Order) on the Australia Day Honours list. This honour was awarded to Steve for his significant contribution to the wine industry as a Winemaker and the Italian, local and abroad community, both charitable and tourism. Growing up on the family vineyard in the heart of McLaren Vale, Maria Maglieri was always destined for a life in wine. Coupled with tours of the great wine regions of the world, Maria was inspired to follow her father and mentor, Serafino (Steve) Maglieri into the family business. 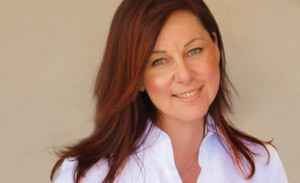 With a superior wine knowledge gained from more than 20 years experience, Maria has thrived as CEO of the Maglieri Group including Serafino Wines, Serafino McLaren Vale Hotel, McLaren Vale Bottlers and property investments. 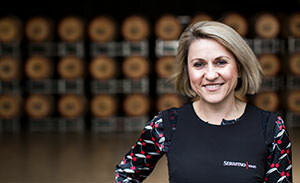 Under her strong management skills and marketing flair, Serafino has been endorsed as a leading wine brand of South Australia in export markets, in addition a tourism destination for its unique offering of an onsite winery, cellar door, accommodation, restaurant and events centre in the hub of McLaren Vale. 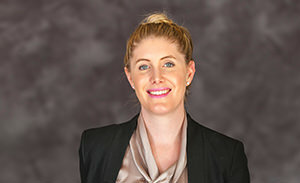 Maria’s achievements have been recognised locally and globally; the South Australian Business Ambassador in 2006, nominated for the Telstra Business Woman of the Year in 2010, named the 2012 Molisana Business Woman of the World in Italy and recently awarded the title “ Cavaliere”, Order of Merit of the Italian Republic in 2018 for her contribution to the Italian community and Women in business. Maria serves as a volunteer of the Molise Associazione Adelaide SA, member of the McLaren Vale Grape Wine Tourism Association, including Board member 2013 – 2016 and is an advocate for working women & mothers in busines. 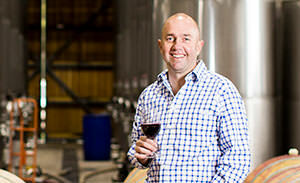 Charles developed his love of wine at an early age, while growing up among the vines of his father’s vineyard at Inverell in northern New South Wales. Drawn to a degree in Oenology at South Australia’s Roseworthy College, Charles subsequently worked vintages in the Napa Valley and Bordeaux, before tasting his way through the wine regions of Europe. 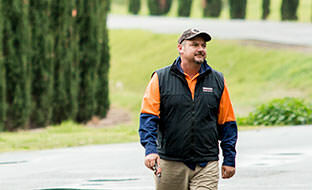 Upon his return to Australia, Charles took up a position at Rosemount where he divided his time between Rosemount in the Hunter Valley and technical assistance to the Handong Winery in North Eastern China for several years, before focusing on winemaking for Rosemount and moving to South Australia in 1994. 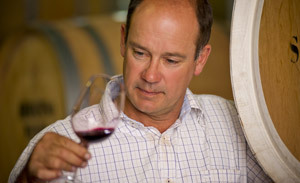 In 2002, Charles was awarded the prestigious Jimmy Watson Memorial Trophy for his 2001 Rosemount Traditional Cabernet Blend. 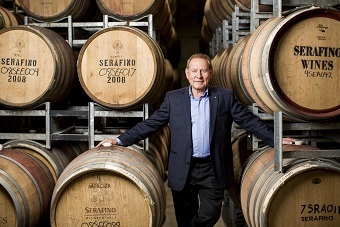 Since joining Serafino in 2008, Charles has made his mark creating a range of wines including the Serafino BDX and the flagship single vineyard Terremoto Syrah, as well as introducing a host of exciting emerging varieties such as Lagrein and Primitivo.